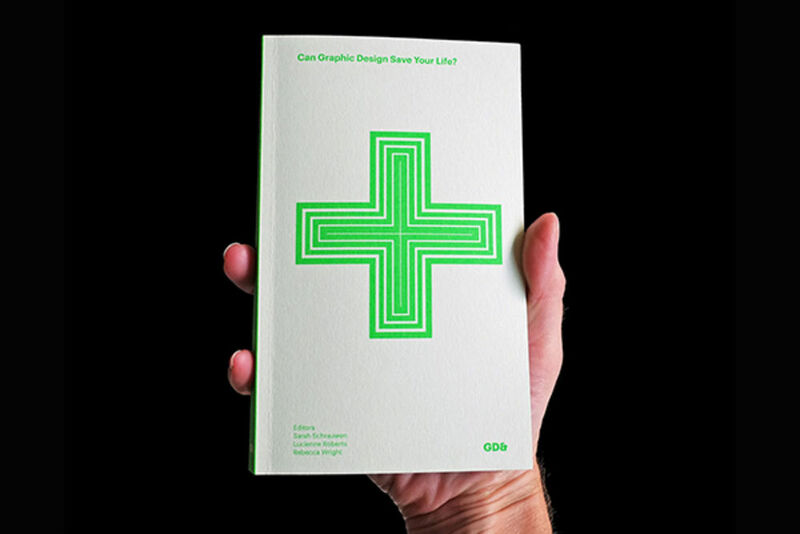 Conceived, curated and published by GraphicDesign&, the Can Graphic Design Save Your Life? exhibition and publication mark a significant moment in the development of the publisher. In proposing a pairing of GraphicDesign& Health, and approaching London’s Wellcome Collection with an exhibition idea to explore this theme, co-founder Lucienne Roberts and Rebecca Wright have fulfilled a long-held ambition to make public how vital graphic design can be. From unbranded cigarette packaging to minimalist pill packaging and from urgent public health warnings to revolutionising health awareness campaigns, the book Can Graphic Design Save Your Life? features public-facing work by a raft of international contemporary graphic designers alongside a few key historic examples and extends the key premise of the title in asking 50 contributing graphic designers, clients and health professionals to answer the deliberately provocative question ‘Can graphic design save your life?’. It demonstrates how graphic design affects what we notice, what we understand and the actions we take – and the essential role the design profession plays in matters of life and death. For Grafik’s Take Five section, we have selected five contemporary projects from different chapters in the book – from visualising complex data, creating an educative and interactive app, designing a child-friendly hospital environment, finding a novel approach to medicine packaging to struggling with health problems. The Tobacco Atlas is an immense feat of research detailing the impact of tobacco use on the environment, poverty and numerous health conditions – and serves as a call to action. 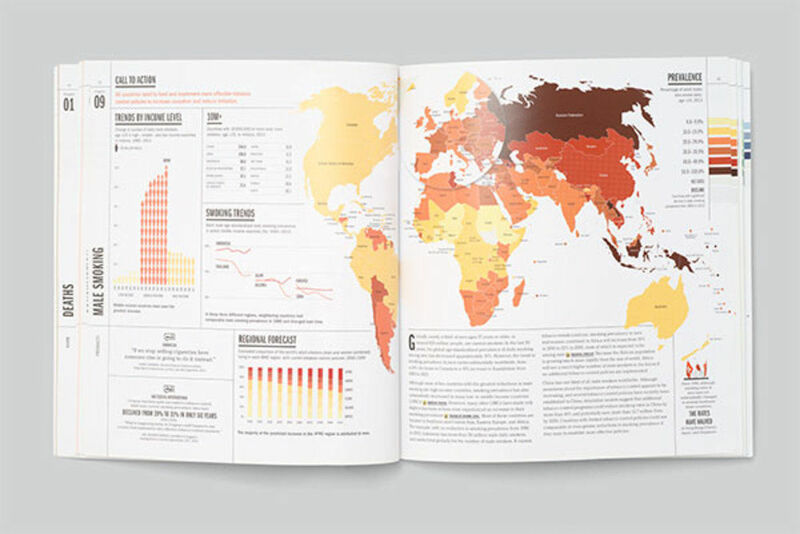 It uses graphic design to present complex information as clearly as possible, and is available in print, as a downloadable PDF in Arabic, Chinese and English, and as a web-based interactive. The 32 colour-coded chapters include photographic collages, quotations, choropleth maps and both abstract and figurative data visualisation. The designers, New York-based creative company Language Dept., specialise in making complex information accessible: ‘If the current trends continue, 100 million people will die from tobacco-related diseases in the next 15 years, and as many as 1 billion this century. Through the design of The Tobacco Atlas, we worked to visualise the problems and solutions related to tobacco in a way that would engage and incite action.’ They also designed The Cancer Atlas. The Human Body was the first educational application by app studio Tinybop. Aimed at children aged four to ten, and available in more than 50 languages, this interactive app encourages exploration of how the body works through creative play. It has been downloaded on Apple’s App Store more than 8 million times and has reached the #1 spot on the education charts in 144 countries. In collaboration with interior designer Rai Pinto, graphic designer Dani Rubio Arauna won an open competition with a proposal for Barcelona’s Sant Joan de Déu children’s hospital that plays with three elements: animals, pattern and colour. 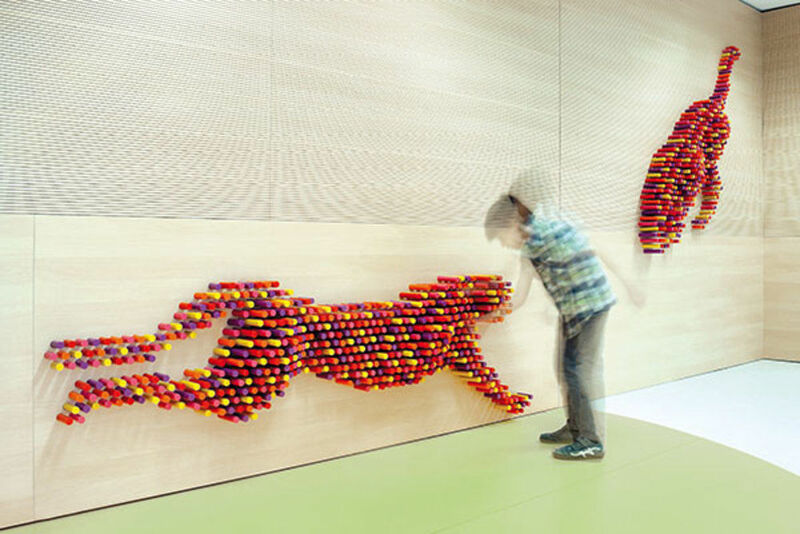 The scheme includes wayfinding, interactive room dividers and wallpaper that brings spaces to life, engaging children in a game of hide-and-seek and creating a colourful setting that disguises the sterile practicality of the hospital. 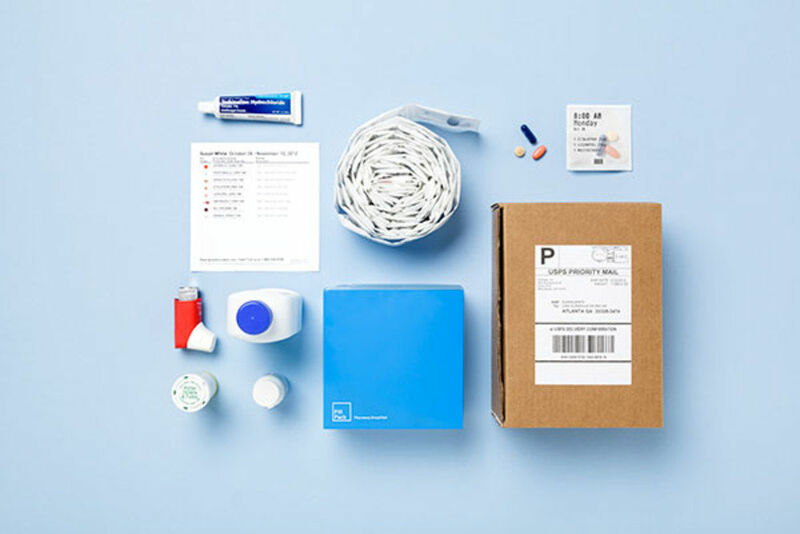 Global design company IDEO applied design thinking to refine the strategy and vision of online pharmacy start-up PillPack. Its human-centred approach puts user experience at the heart of the service and uses design to create an accessible and personalised outcome. Doctors send prescriptions directly to PillPack, which assembles bespoke packages for people taking multiple drugs and delivers them to their doorstep. Comprising a month’s worth of individually sealed packets arriving on a roll in a distinctive branded blue box, each package clearly displays the date and time when the medication should be taken. An autobiographical account of a young life affected by eating disorders and sexual abuse, Lighter Than My Shadow began as Katie Green’s illustration degree project and took five years to complete. Employing delicate line drawing, handwritten text and a restrained and subtle use of colour, this graphic memoir has met with critical acclaim. It stands as a striking example of designer-initiated work. Its format and length, amounting to 500 painstakingly crafted pages, reinforce the depth of Green’s struggle for survival. Read more about these and 45 health-related other projects in Can Graphic Design Save Your Life?, available on the GraphicDesign& website: graphicdesignand.com.